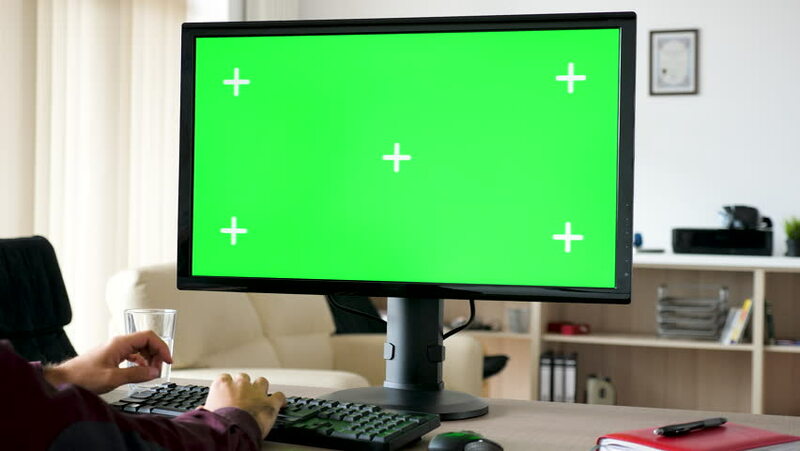 hd00:10Man Working on the Laptop and Display with a Green Screen at the Workplace. 4k00:12Modern Personal Computer with Mock-up Green Screen Display Standing on the Desk of the Cozy Home Office. Living Room Created by Interior Designer with Good Taste and Style. Shot on RED EPIC-W 8K. 4k00:12girl typing fast on white keyboard showing sign like woman worker sitting at the working place desktop with green screen. hd00:09Woman Watching TV Green Screen Dolly Shot. Young woman watching green screen television at home. Dolly shot behind model shoulders.